Aaron and I were invited by our friends B +A to join them for an informal Tu B'shvat dinner seder with friends at their home in the Five Points neighborhood of Raleigh. Tu B'Shevat, is a holiday also known as the New Year for Trees. This minor holiday is commonly celebrated as an ecological awareness day. Dried fruits, fresh fruits, and tree nuts are eaten and in some areas trees are planted in celebration. Fruits that appear to be inedible at first, but have a delicious center remind us not to make the mistake of judging others by their outer appearance before getting to know what lies within. These fruits remind of a feeling of wholeness when nothing is wasted and when life at it’s easiest. These fruits remind us of the mindfulness and care we must take in caring for ourselves, others around us, and the environment. Although we discard the pits of these fruits, they are the seeds, the means to rebirth. These fruits symbolize the potential within us that we have not tapped. Usually, when we are invited to a pot luck, I am on top of it with a recipe idea... This time, I was busy with work all week and didn't even get around to looking at the four courses until Saturday morning. I texted B to see if there were any holes in the menu and she let me know that no one had signed up to bring a dessert. Perfect! I love making desserts. From the list of fruits, I decided to go with cherries and peaches. The first thing that came to mind was pie, but I didn't really have time to figure out how to make a pie from scratch, and we didn't want to buy frozen pies after a recent battle that we lost with our oven during Christmas that left us with a burnt pie crust. Quick cobbler using Beer Bread mixes that I still have stocked up from my days at a Tastefully Simple consultant and a recipe from the website. Aaron and I did a bit of running around Raleigh to find two beers that matched the flavors of each cobbler. We used Lambic Blegian Cherry Beer + cherry pie filling for cobbler #1 and we used RJ Rockers Son of a Peach Wheat Ale + peach pie filling for cobbler #2. The quick cobblers mixed up perfectly and looked good. 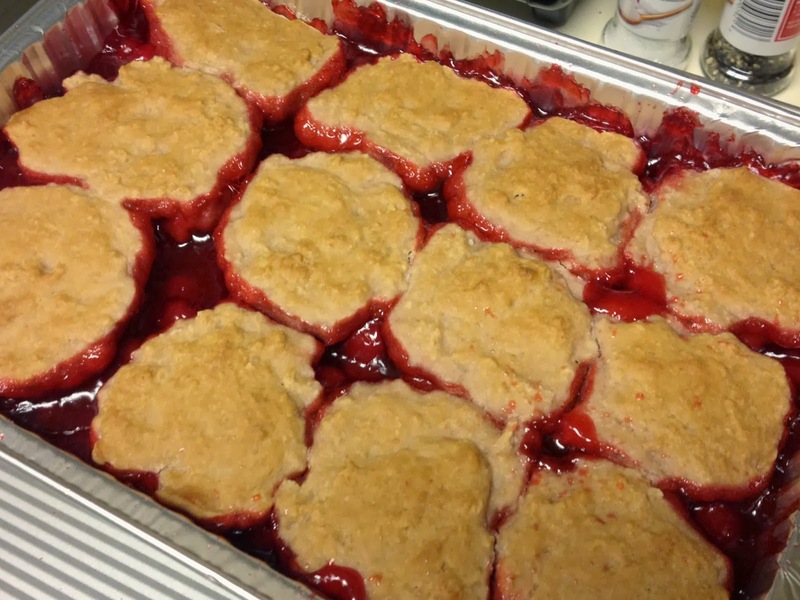 They turned out to be part quick bread and part cobbler - hence 'quick cobbler'. We taste tested a little bite, but we couldn't be sure how good they really were until dessert was served. The result? The beer bread topping was way too dense and not sweet enough. The craft beers were totally lost and the flavor became moot amidst the gummy bread. None of the other guests made any mention of our poorly executed dessert, but Aaron and I both knew, this recipe was a flop. Oh well, trying new recipes on the fly doesn't always work out for the best. The good news is that we had a wonderful time with good friends, and together we started a new tradition. 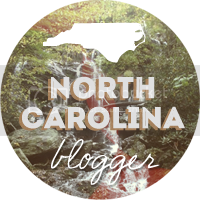 Yay I made it into a blog post!!! I wish I had known you put beer in the recipe...such a good idea! 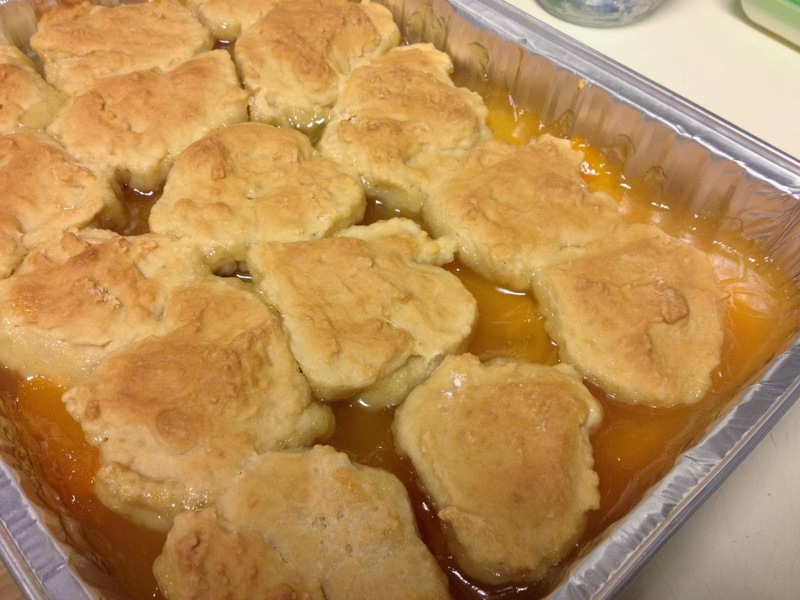 We have totally loved eating that cobbler (Andrew just polished off the peach tonight) and loved having you both over. A new tradition for sure! Hi Brittany! I am glad to hear that you guys enjoyed the cobblers! I guess they just didn't come out as I had expected. Next time I want to try making it with mixed fruits and a lighter topping. Maybe Aaron and I will be able to host next year if we find a house by then!